Spread in a lightly greased 3 1/2 quart crock pot (or spread in a lightly greased baking dish which fits in a larger sized crock pot). 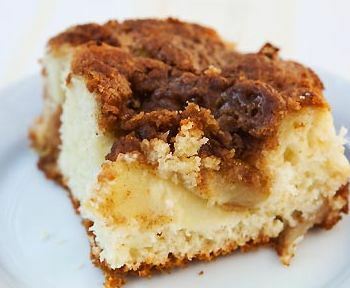 Combine streusel ingredients with a fork or pastry blender; sprinkle over the batter. Cover and cook on high for about 2 1/2 hours, until a toothpick inserted in the center comes out clean.